This was reveled in a survey I did among a sample of 102 Sri Lankan Twitter users. According to the findings, 56 of 102 respondents said they know less than 25% (approx) of their followers personally in real life. Eight of the respondents said almost all their followers are not real life acquaintances. Another 18% of the total respondents said they do not know half of their followers in real life. The results are significantly different compared to the response I received from Facebook users; where 80% of the respondents (total 335) said almost 100% of their Facebook friends are friends in their real life as well. Complying to the responses for the above question; 78% of the respondents to Twitter survey said they are using Twitter to “make new friends” as opposed to “keep in touch with friends”. Contrary to this, Facebook 92% of users said they are using Facebook to “keep in touch with friends” as oppose to “make new friends”. I do not find these stats rather surprising. The survey merely confirmed my assumptions about the two social networking giants. This reemphasizes the fact that Facebook and Twitter are serving two different social needs of their users, and the two services are not competing each other directly. The marketing significance of these findings is, the potential disadvantage of narrowing your social media marketing efforts too much on Facebook and totally ignoring Twitter citing its lower penetration level in Sri Lankan market. You will tend to believe that you are reaching a wider audience, if you concentrate your social media efforts on Facebook but the audience will always be a same set of friends at a given time. Likelihood of your marketing message jump from one cluster to another cluster of customers is less on Facebook. (Because there will be many overlaps in the social radius of your prospects). For example, more than 60% of my Facebook friends fall into to three categories; work colleagues, university buddies, and MBA colleagues. If I respond to a marketers FB activity, that action will be mainly visible within these three clusters. If one (or more) of them get influenced by my action, most likely the message will get exposed for a second (or third, fourth etc) time within the same cluster of friends. This is good from a perspective of “frequency of exposure”. However, from a perspective of making your idea viral, this is not a favorable thing to happen. Because of this reason, even thought there are over 600,000 Sri Lankans registered on Facebook, many brands are struggling to pass 100 fans mark on their Facebook page. The fact that twitter users are largely connected to non real world friends, makes Twitter the ideal medium for making a message (idea) jump from one social cluster to another. Even with a lower rate of penetration in Sri Lanka, Twitter will still help a message for jumping from one social cluster to another. We always have to consider the offline acquaintances, when evaluating the effectiveness of social media channels. 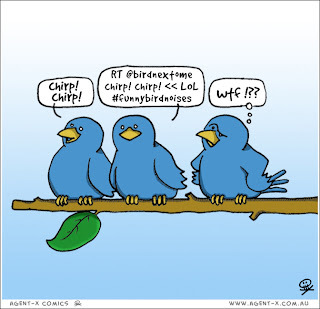 A message getting viral among different social clusters via Twitter will result in the same message reaching a wider audience through the offline acquaintances connected to those twitter users. Afterall, a human being is behind that Twitter account. That human being will not only re-tweet your message to his/her followers, but also will take that message offline to many people at office, at school, at home and at bus stop. Thank you for sharing your findings. As a marketing executive myself I find it very difficult to convince my bosses about usefulness of social media, twitter in particular. I'm sure this sort of mini studies will help demystifying the doubts among Sri Lankan business community. Can you shed some lights on Sri Lankan companies which used social media succesfully for their marketing? Thanks for the compliments. I will try to collect as much as Sri Lankan case studies and publish on this site in time to come. What you are saying is absolutely correct, from the point view of "social pressure". If you make your message circulating within the same social group over and over, and let people see many of their friends "like" that same message; chances that I also tend to believe the message is higher. In other words, it will help building credibility. This is a good technique to launch a new brand on social media. Rather than trying to spread it all over the social web, you target a concerntrated social cluster and build trust. But the disadvantage is; the nature of Facebook ecosystem reduces the 'velocity' of the message being spreading around on the web. This is because, Facebook is largely centered around "trusted friends" where as Twitter is more connected through "weak links". It is tested that, "weak links" are the ones which really matters when getting a message passed across to another social cluster. 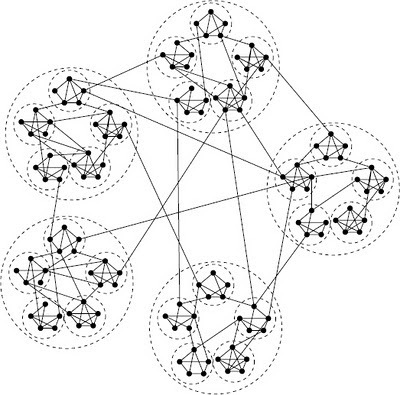 So, at one point you will require to take the message out to other social clusters, through sveral such 'weak ties'. For example, the higher education brand you mentioned, can dominate a one social circle on Facebook; but to get their passed to another cluster, they need to influence one of those "weak ties". There may be twitter friends who are not known to each other in real world, but sharing the same interests (or demography) which meets your criteria for segmenting the market. In such a case, Twitter will become more handy to inject the message into other social clusters, through one or more such "weak ties" sharing the same interest (or demography). I believe, both FB and Twitter must be used in a way, the two channels will compliment each other.